Founded 1973 in Utah. Acquired 1993. Pioneer in encapsulated blended herbal products – now a leading full brand in health food stores. Solaray is the flagship brand of the Nutraceutical Family of Brands. With almost 1,000 products, we provide a full line of herbs, herbal extracts, vitamins, minerals and specialty ingredients, such as amino acids, fatty acids, probiotics, enzymes, and functional formulations designed for today’s lifestyles. Our simple white labels—adorned with the illustrious Solaray rainbow—are recognizable in more than 9,000 health food stores nationwide and 60 countries worldwide. Our array of colored lids identifies each category of products, so a whole herb in a green lid, for example is easily differentiated from an herbal extract in a maroon lid or a blend in a blue lid. Vitamins, minerals and specialty formulas are in bottles with white lids. Solaray has attracted a loyal following since its launch in 1973 because people associate it with unparalleled quality, service, innovation and purity. Green—Single Herbs. With over 130 herbs—from açaí to yucca—Solaray offers the greatest selection of single herbs on the market today. The green lid herbs are for consumers who prefer a single herb and/or who may also want to combine several single herbs of their own choosing. We purchase herbs the world over and thoroughly test them to ensure their authenticity and purity. The herbs consist of single herb parts, such as the below ground root, rhizome or tuber. or above ground herb part as bark, stem, leaves, flowers, seed, silk, bulb or fruit. You will always know which herb part is used in a Solaray green lid herb because it will be listed on the side panel of the label. Each label also carries a Green Screened logo to indicate that the herbs have been thoroughly tested for microbials, heavy metals, herbicides and pesticides to ensure their purity. We do not accept irradiated herbs. To avoid any confusion, the herb is clearly identified by its common name, as well as its Latin name according to the Herbs of Commerce (HOC) book produced by the American Herbal Products Association (AHPA). The herb part from which the extract was produced is also identified, since each part of the plant can have different marker/active compounds. The marker/active compound(s) are identified by name. The percentage and quantity of the extract are noted in mg or mcg so the consumer doesn’t have to do the math. Whenever possible, Solaray Herbal Extracts use whole herbs to complement the extract rather than an inert filler (such as cellulose or rice) in the belief that the whole herbs may act synergistically with the extract. The Solaray line of herbal extracts is designed for the modern consumer who wants a guaranteed potency product based on sound scientific methodology. Blue—Solar Products (SP) Blends. The original Solaray “Solar Products,” these SP Herb Blends are unique combinations of key herbs, combined with aromatic and carminative herbs, demulcent and cleansing herbs and a unique combination of specially selected homeopathic cell salts (from 12 mineral salts that are found in every living organism).These SP Herb Blends are the foundation on which the entire line of the Solaray spectrum of herbs was launched. Forty-plus years after their introduction, these combination herbs are still favorites with consumers who believe that combinations produce the best synergistic results. Yellow—Organically Grown Herbs. Launched in the spring of 2000, this herb line is a response to a growing consumer desire for premier, organically-grown herbs. Solaray product developers know that consumers of organically-grown herbs are very discriminating and want herbs without fillers or excipients; many have environmental concerns; some are vegetarian. This line offers herbs that are certified to be organically grown, that contain no fillers or excipients of any kind, and that are available in vegetarian capsules. This line is designed to satisfy the most discriminating purist. Black—Ayurvedic Herbs. The black lids of the Solaray Ayurvedic line complement the orange and black label of this exotic line of herbal extracts used in Ayurvedic medicine, a system of healing that dates back 5,000 years. The Solaray Ayurvedic herb line was launched in 1997 to introduce the best of the ancient Eastern herbal extracts with the quality testing that is demanded of Western supplements. The line provides extracts for the adventurous and for the knowledgeable traditional consumer who feels that 5,000 years of experience speaks for itself! Red—Cool Cayenne Herbs. The red lids for our Cool Cayenne herbs are specially prepared, with a completely unique and proprietary Bio-Cool process, which keeps the cayenne spicy-hot, but won’t burn your stomach. So hot, they are cool! The heat units are listed on the label, from 40,000 to the 100,000 heat units in our Extra Hot formula. The Green Screened logo represents the Solaray brand’s commitment to providing herbs of the utmost quality. Solaray employs quality control standards in all areas of product development—from ensuring identification by laboratory analysis and microbial, herbicide and pesticide screening to heavy metal testing. We automatically reject herbs that are irradiated. Only after an independent analysis program confirms that the herbs meet our strict standards, do we give the product our Green Screened approval. The herbs that bear the Green Screened From the Wild logo are grown and harvested in their natural environments. We are sensitive to environmental concerns regarding endangered species and make every effort to ensure that the herbs are gathered through legitimate means and harvested ethically in an environmentally-friendly manner. The herbs that bear the Green Screened Organically Grown logo are (not surprisingly) grown organically! Organic farming not only protects consumers’ health, but also improves the soil, maintains water purity, protects the health of farm workers, encourages biodiversity and supports small farming operations. We maintain records showing that each organically-grown herb has been certified by an independent certifying agency. All of Solaray’s herbs bearing any of the three logos are 100 percent vegetarian and are in a vegetarian capsule. They conform to a high standard of manufacturing and testing and help our customers identify our herbal formulas as products of the highest quality. With around 1,000 products, Solaray products not only provides over 400 herbs, herbal extracts and botanical blends, but also offers approximately 600 vitamins, minerals and specialty products that are primarily showcased in white lids. White lids: The Solaray brand offers an extensive array of vitamins, minerals, enzymes and probiotics, essential fatty acids (EFAs), amino acids, raw glandular concentrates, antioxidant formulas, special formulas and plant concentrates that are identified with white lids. The products are manufactured in a state-of-the-art cGMP plant and undergo rigorous testing at two in-house laboratories to ensure their identity, potency, purity and safety. Solaray products adhere to the latest FDA regulations and U.S. Pharmacopeia and National Formulary (NF) protocols. The labels may include cautionary or warning statements based on the most current standards and the American Herbal Products Association’s Botanical Safety Handbook. The products meet current FDA label regulations requiring listings of allergens such as wheat, fish, shellfish, tree nuts and peanuts, dairy, soy and eggs. Solaray products do not contain artificial colors, flavors or preservatives. Solaray declares a product to be gluten free if it has undergone finished product testing for gluten—only then can we claim gluten-free on the label. Orange lids with a white label sporting a carrot are the carotenoid formulations. Butter Yellow lids with a yellow label highlight herbal fatty acids that include Primrosa, Primrose Oil, Borage Seed Oil, Black Currant Oil, and Flaxseed Oil. Red Lids with blue labels sporting a red pepper emphasize the Cool Cayenne pepper line. Baby Blue Lids enhance the pink labels of the CranActin line of cranberry products. Our full line of products is intended to reflect the Solaray® Promise: “What does the `promise of the Solaray rainbow ‘ mean? It symbolizes healing and renewal after the storm.” –James Selander. 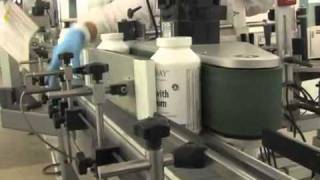 Every Solaray product is subjected to rigorous testing and screening protocols based on the latest cGMPs (Current Good Manufacturing Practices) and U.S. Pharmacopeial Convention (USP) monographs. The process may vary by ingredient, but typically includes organoleptic (taste, touch, smell) testing to compare it to previous batches, and lab assays for microbial, identity, purity, and potency validation. Only when an ingredient has passed all of the required assays is it released from quarantine to manufacturing. The Solaray brand employs quality control standards in all areas of product development—from ensuring identity and authenticity by laboratory analysis to screening for microbes and heavy metal testing. Our herbs and herbal extracts show an additional layer of testing that is represented by our Green Screened logo (see the Green Screened® tab for the full story). We test them for microbials, heavy metals, herbicides and pesticides and we reject herbs that we suspect are irradiated. Only after our extensive laboratory analysis program confirms that the raw materials meet our strict standards do we give them approval and release them for manufacturing. For further details, look at the toolbar under “products” for more details on all of our testing procedures. We aim to provide solid formulas that work and that will endure as classics for a long time. Not all cranberry products are created equal. The Solaray CranActin supplement was the first commercial cranberry extract guaranteed by rigorous testing to contain cranberry’s bacterial anti-adherence activity. Supported by clinical research, CranActin has been the leading cranberry dietary supplement for more than 20 years. Now, we also offer an innovative CranActin cranberry extract combined with D-mannose, a specialized sugar that has also been found to have bacterial anti-adherence activity. IbuActin is a breakthrough formula with top, clinically-researched ingredients, such as a supercritical extract of alpha-acids from hops combined with turmeric, bromelain, white willow, papain and ginger. IbuActin is intended to provide nutritive support for general comfort during everyday activities! Gentle on the stomach, the 100-percent vegetarian formula is for all day, all body comfort. Ultra-Strength Joint with InflaShield is a fast-acting, long-lasting full joint tune up! This advanced formula contains ingredients intended to provide nutritive support to maintain lubrication in joints and support joint flexibility and range of motion. In addition, the formula includes a number of support ingredients to help with joint comfort. Introduced in the spring of 2005, this unique, innovative formula combines standardized plant estrogens—phytoestriol, phytoestradiol and phytoestrone—with butcher’s broom, nattokinase and indole 3-carbinol. The formula is soy-free and all natural; there are no synthetic or partially synthesized compounds. Reacta-C is Solaray’s highly advanced, patented vitamin C formulation that is backed by science and offers the latest technology in vitamin efficiency in the body. Its non-acidic buffered reaction is gentle on the stomach with a neutral pH. Through double-blind, placebo-controlled, randomized bioavailability studies on human subjects, Reacta-C was shown to have a more efficient uptake and longer duration in the bloodstream than ascorbic acid. With strontium and calcium as part of the proprietary reaction, Reacta-C is great for supporting bone health as well as providing great antioxidant and immunity support. This is “The Vitamin C that Works”! Spectro Multiples are optimum potency, comprehensive, top-selling multivitamins, formulated for many types of customers and preferences. From powdered drink mixes to capsules and tablets, Spectro Multiples meet many specific needs. The newly formulated Spectro Woman, Spectro Man, Spectro Energy and Spectro 50 Plus are targeted multivitamins, with over 80 ingredients in four daily capsules. They boast optimal potencies of vitamins, chelated minerals, key carotenoids (including lutein and lycopene), premium antioxidants (including CoQ-10, and alpha lipoic acid), hyaluronic acid, digestive enzymes, herbs, green foods, trace minerals, amino acids and more! Our food base is pro-nutrient and designed to help you get the maximum nutritional benefit from your multi! One of our most popular formulas. Free of citrinin. In 1969, a young man named Jim Beck returned from military service in the Vietnam War, suffering from multiple physical and mental traumas. Medical experts told him that nothing could be done and he would have to live with his conditions. Not satisfied with the prognosis, Beck took the advice of his father and visited a local health and natural food store to seek alternative health care options. The information they gave him sparked his interest in botanicals and after considerable research, Beck developed formulas from bulk herbs that worked and brought him back to health. Although Beck never aspired to be a businessman, he was motivated to bring the life-affirming powers of herbs to others. With the advent of capsules, herbs that were used traditionally for thousands of years could be used in easy-to-swallow capsules. In 1974, Beck founded a company called Solar Products, Inc., and introduced his herbal blends with homeopathic cell salts, which are still popular today under its blue lids. In 1979, he renamed the company Solaray and in 1984, Beck introduced the prototype of the distinctive rainbow that is a recognizable emblem today. Over the years, the Solaray brand evolved into a full line of dietary supplements, introducing not only single herbs, combinations and guaranteed potency extracts, but also a complete line of vitamins, minerals and specialty products. It is one of the most recognizable brands in the United States and in 60 countries abroad, with a very loyal clientele built on word of mouth and an industry-wide recognition of quality. Its vibrant rainbow of five colors represents IQLES: the Innovation; the Quality assurance of testing for identity, potency, purity and safety; the Loyalty we feel towards our customers; and the Education and the Service we strive to provide. The Solaray brand is the flagship brand under the Nutraceutical Family of Brands, purchased by Nutraceutical in 1993. Nutraceutical and its team remain true to the philosophies and commitment of Solaray’s founder and the life-affirming powers of nature. Its full line of herbs, vitamins, minerals and specialty items now number over 1,000 products and as new, innovative raw materials are introduced into the marketplace, Solaray will strive to continue to be at the forefront of what its distinguished rainbow represents. Solaray has won numerous awards, including Vity awards from Vitamin Retailer magazine and Best of Supplements awards from Better Nutrition magazine. And in 2007 and 2008, Solaray won Whole Foods magazine’s Industry Choice Award. We aren’t just saying we’re the best; discerning health food retailers and their educated customers have voted on our excellence. Now With Inulin Prebiotic Carrier! New UV Protected Clear Frost Bottle.